There’s nothing so moving as settling back into the plush seats of an elegant concert hall, closing your eyes, and drinking in “the rhythmic strains of the haunting refrain, the rippling rhythm of the woodwinds as it rolls around and around,” as Elmer Fudd so eloquently put it. Any real musician who’s willing to be honest should admit that even the best music can be stunted by the less-than-stellar acoustics of a poorly designed stage. On the other hand, even mediocre musicians can be made to sound marvelous in the right setting. Is it any wonder, therefore, that the best musicians plant their music stands at colleges that offer the most perfectly designed music halls? Schools like Juilliard, Johns Hopkins’ Peabody Institute, Yale’s Music School, and the Vanderbilt University Blair School of Music are spot-on examples of music programs that offer their students the very best acoustic chambers to make perfect technique sound truly prodigious. No musical prodigy would judge a score of music by the appearance of the cover. On the other hand, the appearance of a music building is a great indicator of the quality of a school’s music program as a whole. Music is an art, and it’s only right that the auditory experience should be as enjoyable to the eyes as it is to the ears. Without further ado, here are fifty of the most splendid music buildings the United States has to offer. 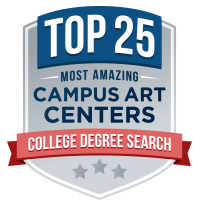 The campus arts center is an important part of the arts culture at a university. In time and dollars spent, and in impressions made, these buildings, education centers for an entire community of aspiring professionals, make a statement about the pride a school takes in its young performers. For students majoring in the performing arts, the right setting can make a valuable difference in nurturing developing talent and ambition. 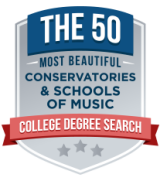 The following is a list of arts centers at American universities that possess great functional beauty and inspirational qualities. Many high school students have ambivalent feelings towards post-secondary education. They question the widespread cultural assumption that a college degree is important, and may feel anxious or dispassionate about their options concerning what to study. 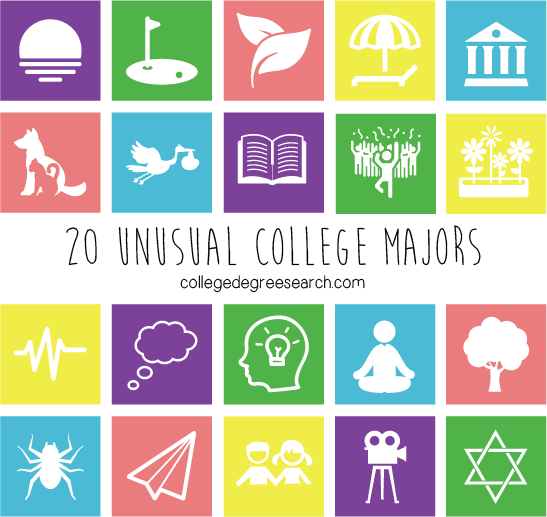 This short list of unusual college majors was compiled to help students think beyond traditional majors such as History and English to uncover possibilities that are more interesting, personal, and most of all specialized, which is hugely important in a competitive labor market. If none of these listings speak to you as a major, perhaps they can give you some new ideas for a specialization within a broader field of study. 6 % of undergraduates and 4 percent of graduate students in 4-year colleges have “seriously considered attempting suicide” in the past year—and nearly half of each group did not tell anyone. 3X: The suicide rate among young adults, ages 15-24, has tripled since the 1950s and Suicide is currently the 2nd most common cause of death among college students. 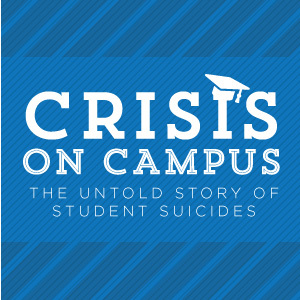 1,100: number of suicides that occur at colleges every year – that’s roughly 7.5 per 100,000 students. 1 in 12: number of college students who have actually made a suicide plan at some point 1.5: number of college students out of every 100 who have actually attempted it. 2X as many young men, ages 20-24, commit suicide, compared with young women. In the past 50 years, the suicide rate for those age 15-24 increased by over 200%. 12 people aged 15-24 will commit suicide today – that is one about every two hours. Caucasians account for over 90% of all completed suicides. 2X: though Caucasians are twice as likely to commit suicide as African Americans; the rate of suicide is growing faster among young African Americans than among Caucasians. Suicide rates from 1980-1995 increased 93% for African American females (age 15-24) and 214% for African American males (age 15-24). Asian American women have the highest suicide rates among women ages 15 to 24. Men commit suicide more than four times as often as women, but women attempt suicide about three times as often as men. Suicide by firearm is the most common method for both men and women. FACT: The emotional health of college freshmen — who feel buffeted by the recession and stressed by the pressures of high school — has declined to the lowest level since an annual survey of incoming students started collecting data 25 years ago. The percentage of students who said their emotional health was above average fell to 52 percent. It was 64 percent in 1985. • Cost: Financial pressure, tuition plus room and board, is a huge stress-inducer. • Competitiveness: How academically rigorous is the school? 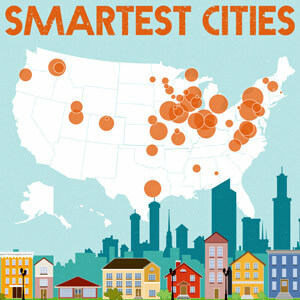 • Acceptance rate: More competitive schools generally produce a more competitive student body. • Crime on campus: is it safe? • It’s the economy, stupid: has added to the stress, not just because of financial pressures on their parents but also because the students are worried about their own college debt and job prospects when they graduate. The Campus Suicide Prevention Grants program supports colleges and universities in their efforts to prevent suicide among students and to enhance services for students with depression, substance abuse, and other behavioral health problems that put them at risk of suicide. The National Action Alliance for Suicide Prevention is taking action on a broader scale. With this public/private partnership, leaders from Government, business, the advocacy community, and other groups are working together to advance the National Strategy for Suicide Prevention. With 40 million users from 180 countries, Lumosity is the leading online brain training program designed to improve core cognitive abilities such as memory, attention and fluid intelligence. Based on the science of neuroplasticity and personalized for each user, Lumosity training enables users to remember more, think faster, and perform better at work, school, and in everyday life. people thus they report having greater amounts of stress. 74 percentage of students that feel grades in school contribute to their stress. 78 percentage of students that feel schoolwork contributes to their stress. 35:percentage of students that feel physical health contributes to their stress. after graduation contributes to their stress. 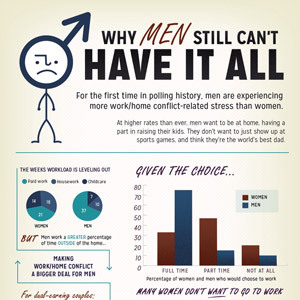 graduate or professional school contributes to their stress. 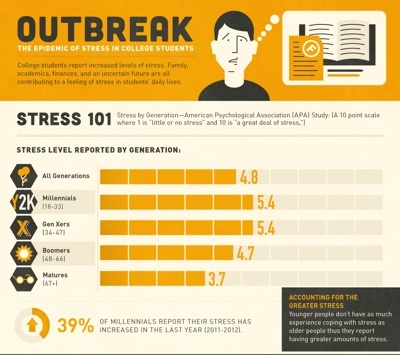 67:percentage of students that feel financial worries contribute to their stress. 52:percentage of students that feel the economy contributes to their stress. considering dropping out of college. job after graduating from college. Is Technology adding to Student Stress? tests, and get worse grades. o More illness, such as colds and flu, due to a lowered immune system. o Increased weight gain and obesity. while listening to your favorite music. roommates or crowds – might be just what you need. experience, so don’t forget to take a break from studying to enjoy friends. a little more fun and enjoyable. need to do and help you realize that things are much more manageable. 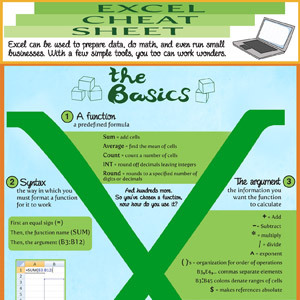 Excel can be used to prepare data, do math, and even run small businesses. With a few simple tools, you too can work wonders. So you’ve chosen a function, now how do you use it? Relative references adjust to their new surroundings. The relative reference in C3 tells excel that you want to reference the cell to the left and up one.